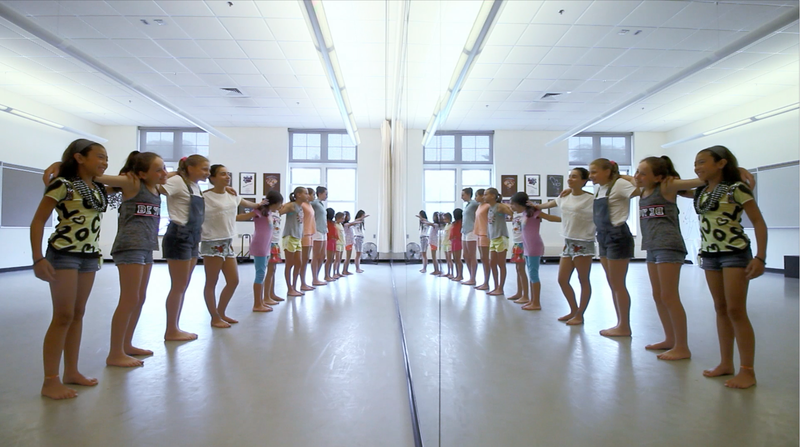 “TRY” – Dance Electives Video Makes Impact! Wow, Beaver Summer Camp really is a place where kids can explore so many different interests and passions! Upper and Senior Campers choose from numerous varied electives, and a hugely popular one this summer has been the Dance Elective with Elisabeth. In it, campers with a range of dancing experience come together and work on dance skills, choreography, and even some advanced techniques. Elisabeth says that she knew from the first day of the elective that this group was going to produce something special. They bonded immediately and began by brainstorming, sharing anecdotes, and growing increasingly excited about working on a piece that would reflect their personal experiences and feelings about the social world they’re navigating and popularity in particular. In generating ideas, the group members were very supportive of one another. The campers chose the costumes and locations, assigned themselves roles democratically, and, as Elisabeth astutely says, “seized every opportunity to use resources at Beaver to make a statement.” And what a statement! Understandably, the young artists are proudest of their ability to create and produce a story from start to finish, involved in every step along the way as their ideas were valued and actualized. Now that you know more about their process, don’t you want to go back and watch the video again?